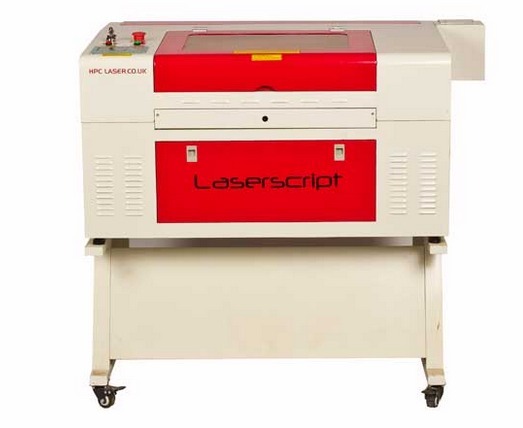 We now have our own Laser Cutter which we will be using to create cases, robot claws, gears and all manner of things from acrylic sheet. As a service to our customers we can also offer this cutting service. So if you have a need for a custom piece of perspex then send us an email to sales@hobbytronics.co.uk with the details and we will give you a price. We have in stock various colours of acrylic sheets in 3mm and 5mm, but can source other colours and thicknesses (up to 10mm max). We can't give a fixed price as each job is different and depends on the materials used and how complex the cutting is. Lots of small shapes take longer to cut and more management to ensure they are all cutting correctly. Generally more set-up time as well. We base the pricing on a materials charge and time (which includes set-up as well as laser time). There is a minimum charge of £10.00 + VAT for one man-hour. For example, a simple file that will fit on an A4 3mm sheet of tinted orange perspex is charged at £4.00 + VAT for the materials and £10.00 + VAT for the man-power. A delivery charge always applies (as the larger the order then heavier it is) and starts at £2.00 + VAT. Standard DXF CAD file format. There are a number of free CAD software tools available. We use LibreCAD (www.librecad.org). We have also found DoubleCAD very user-friendly. Create your DXF file ensuring that, if there are multiple shapes, they are spaced a minimum of 2mm apart. As lasers cut by melting the perspex, if you put mounting holes too close to the edge, you can get a rough finish. If you want, for example, 10 shapes cutting that are exactly the same, just send us the single design along with the fact you require 10 of them. Email the DXF file(s) to us at 'sales@hobbytronics.co.uk' along with the specifications of perspex colour and thickness. It can be helpful for us to see a final design as we may be able to spot any issues/pitfalls. It is important to remember that the thicknesses of difference acrylic sheets can vary by as much as +/-10%. If your design involves different colours sitting flush next to each over, we will do our best to match thicknesses but we need these issue highlighting for us in the first place. Please include a delivery country (as minimum). One we have all the information required, we will email you a quotation and lead times. If you are happy to proceed, we will set-up the order and send you a PayPal or WorldPay payment request (as you prefer).